Alright fans, it’s time to discuss dogs found at gas stations, which if this was an actual question on Jeopardy, I would totally get. This dog, as you may recall is Winchester, the dog rescued last week with the help of a lot of people. After many trials and tribulations, we got Winchester to Nashville, TN. One of the immediate things you may notice is that Winchester is not a Great Pyrenees mix as we had initially guessed. No, Winchester is a teeny little border collie mix, probably with some spaniel. We love him even though he is a Lesser Pyrenees who weighs about 45 pounds. Winchester the Lesser Pyrenees needs two things: cash and a foster home. Cash for the hip surgery he has to have this week and a foster to recover in. Winchester was hit by a car and has a broken hip which requires repair. The good news is we can fix him. The bad news is, we need money to do it. Since this is an actual dog in need and not a magical unicorn, we have to fundraise to repair him. He’s like the six million dollar dog: we can rebuild him, but the good news is it won’t cost $6,000,000 and also as far as we know, Winchester is smart, but not an astronaut. He is in pain and we can fix him and we will. Even thought we are cash poor right now. If you would like to donate to help us fix him, you can donate here: http://bigfluffydogs.com/pay-online.php. 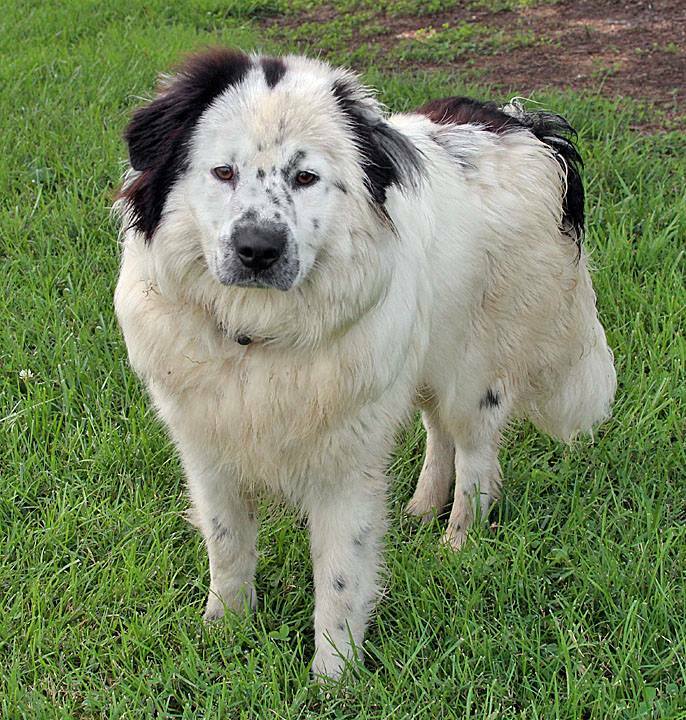 If you donate, please email jean@bigfluffydogs.com so we can thank you for your donation for Winchester. The goons at the credit card place don’t leave anyone a spot to say what it’s for. Nashville, TN peeps wanting to foster can email jean@bigfluffydogs.com too. Thanks as always. This entry was posted in Furry Friends, Save a Pet and tagged BFDR, dogs, foster, Foster care, Great Pyrenees, help, Pyrenees by tiannafonz. Bookmark the permalink.